Webtrak includes Digital Elevation Model (DEM) which takes into account the elevation of the property being overflown. 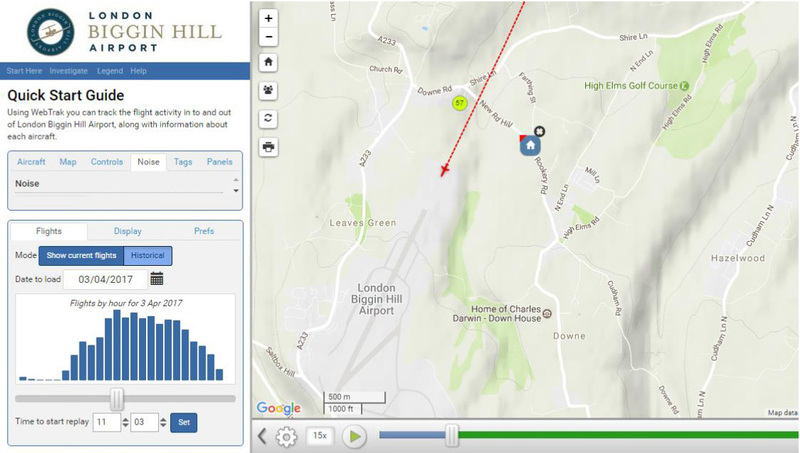 When DEM is enabled, the point of closest approach is calculated using a digital map that knows the elevation above mean sea level of a geographical area. 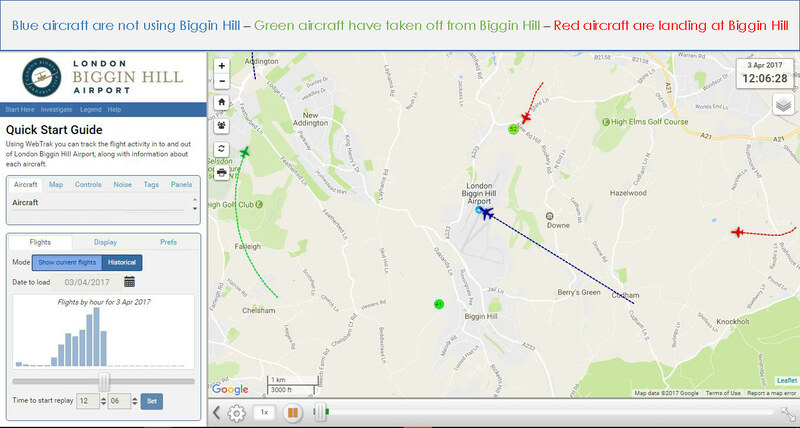 The flight data for Webtrak is taken directly from the National Air Traffic Services (NATS) radar that is used to direct aircraft at London Biggin Hill and the surrounding airports. The accuracy of the system has been verified by the Civil Aviation Authority. 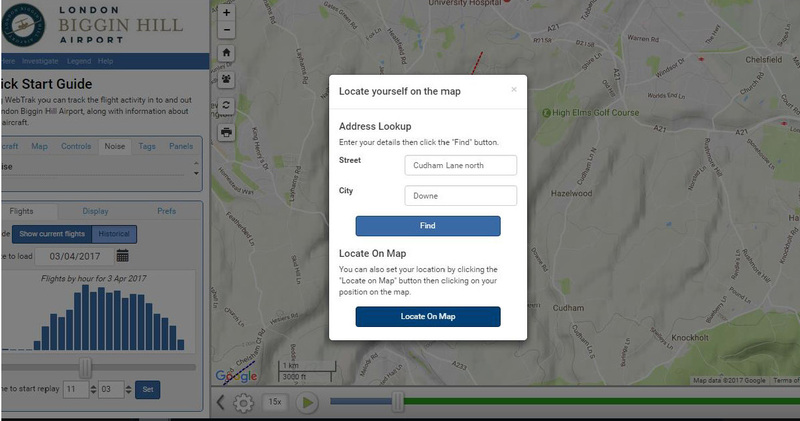 Personal details, name, address and/or email address entered into the system when making a complaint will be shared with the London Borough of Bromley. This data will not be shared with any other third parties. You can locate your home on the map to see more information about the aircraft that is causing you concern. 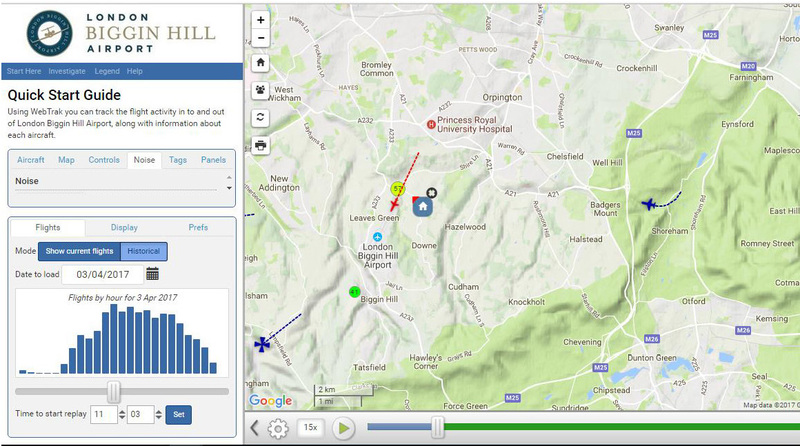 To locate on map simply click on the point of the map where your home is situated. 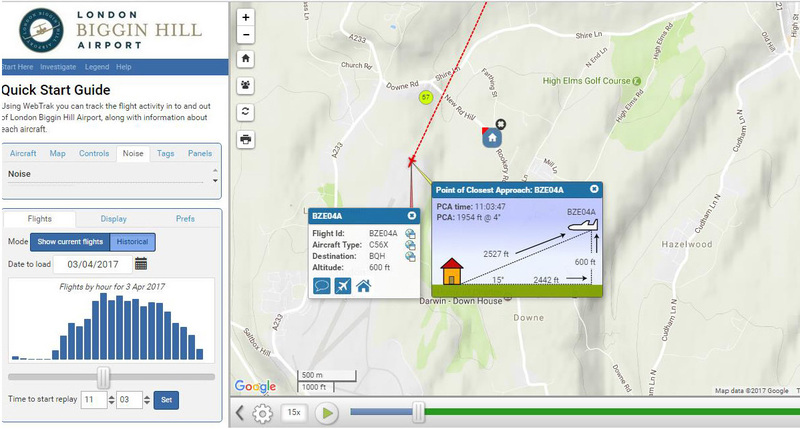 A new box will open with the aircraft location information relative to your home. The bottom left box has three tabs, FLIGHTS, DISPLAY and PREFS. If you select Historical the bar chart below becomes active, click on any day and the set button and data for that day and time are loaded onto the map and can be played using the play, pause and scroll bar. Current flights are shown with a 45 minute delay for security purposes. Click on Yes to report this aircraft or for all other complaints use the Make a general complaint button then follow the instructions.